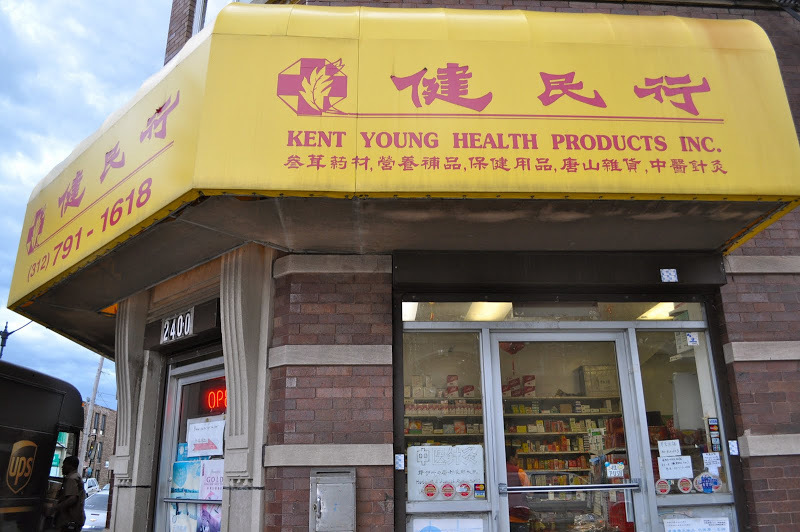 Dr. Yang is the owner of Kent Young Health Products, Inc. He studied at the Zhong Shan Medical College in Guangzhou, China. At first, he studied Western medicine, then he studied some acupuncture and eventually Traditional Chinese Medicine. 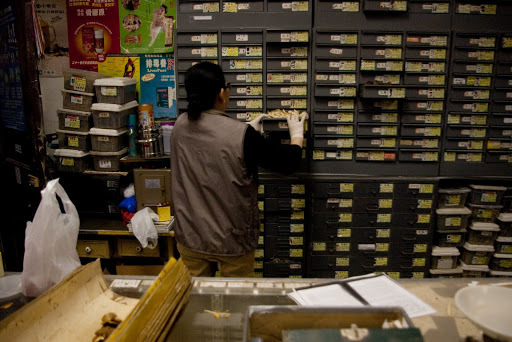 He spent 10 years helping research acupuncture in China. 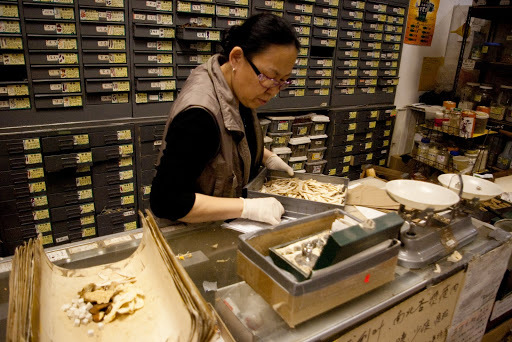 When he came to the United States, he had to apply to the National Certification Commission for Acupuncture and Oriental Medicine, which is one certification required to practice. He also spent three years studying at the American Alternative Medicine in Massachusetts. Afterwards, he passed the certification. This certification is framed on the back wall of the store. Dr. Yang has to go to a seminar to renew his acupuncture license 3-4 times every year. 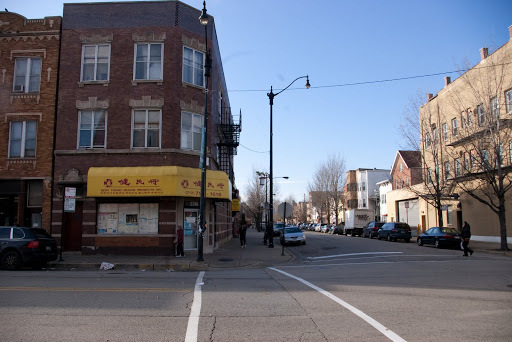 The seminars are held at the Asian Acupuncture Association on Dempster and are attended by other acupuncturists in Chinatown. 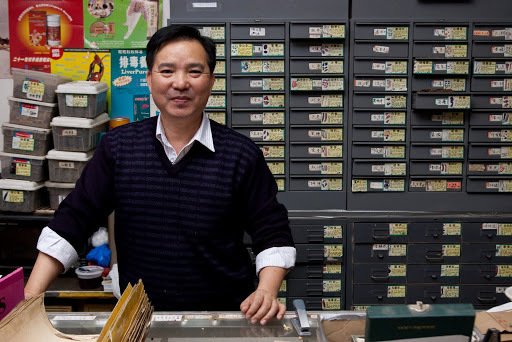 Dr. Yang has had his store for 10 years. 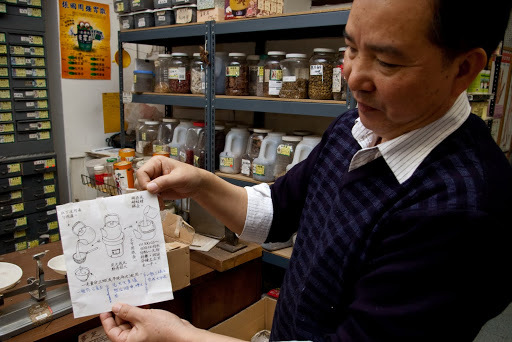 He buys the herbs from a company that imports them from China. 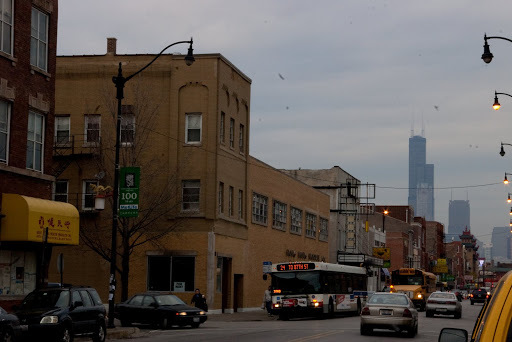 He had a story written about him in the Chicago Tribune, which he photocopied for me, and had a lot of other informational material that he photocopied for me. He also does acupuncture, which is what he was doing when I first arrived. Eventually, more customers came in, so I let him be. I looked around a bit more, and then started talking to a woman, Lisa. She is a customer, but it was apparent that she knew Dr. Yang and his wife, Edna, well (the woman who I was talking with earlier). 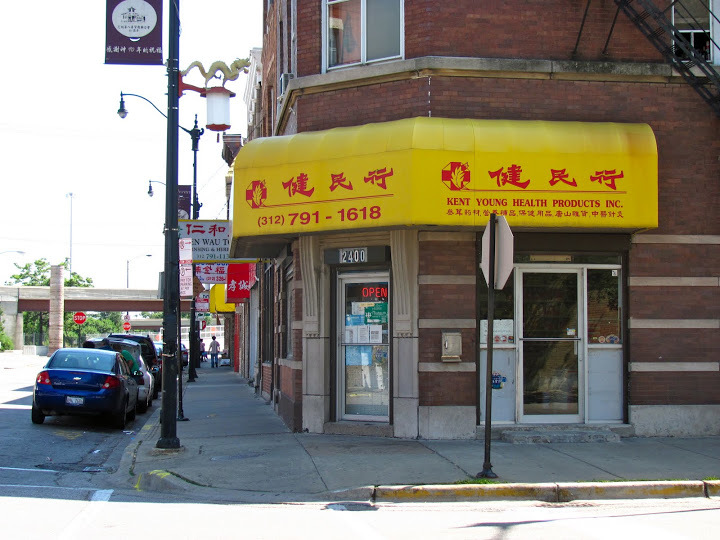 Lisa spoke English fluently and told me that their store was the best, and that Dr. Yang charges less than what his previous partner charges downtown Chicago. We went over to Edna and the three of us chatted in Chinese and English. I believe the Yangs are from Beijing, since Edna told me I should go back to Beijing if I went to China. 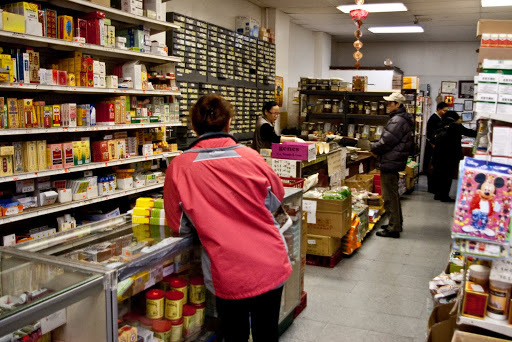 After talking for a bit more, I thanked them both, thanked Dr. Yang, purchased some tea for my personal use, and left. 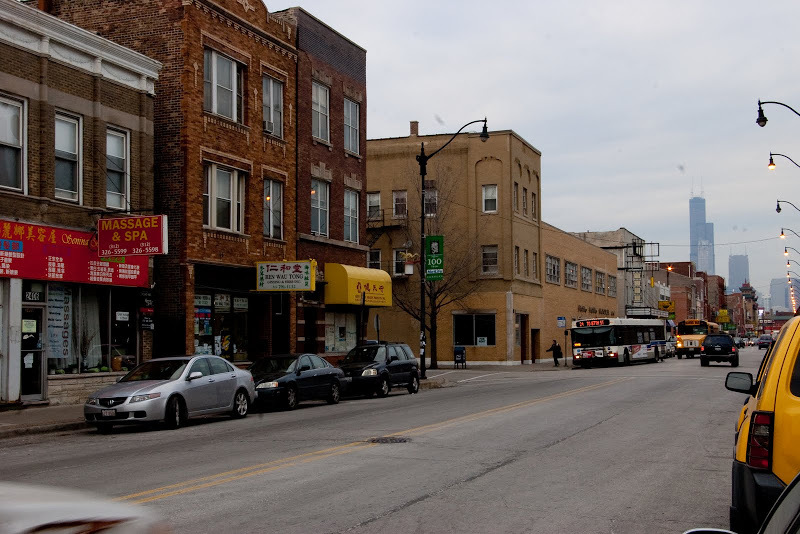 In Chicago it is required to be licensed in order to practice acupuncture, but it there is no licensing structure for practicing herbal medicine. 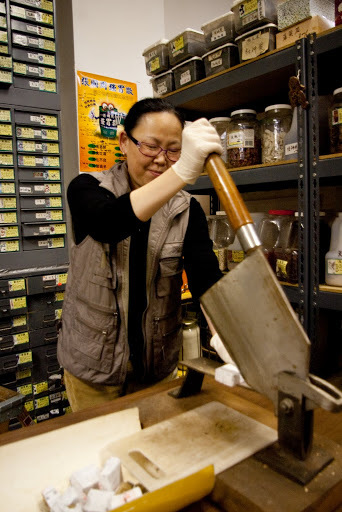 California requires an herbal medicine license, as well as New York. 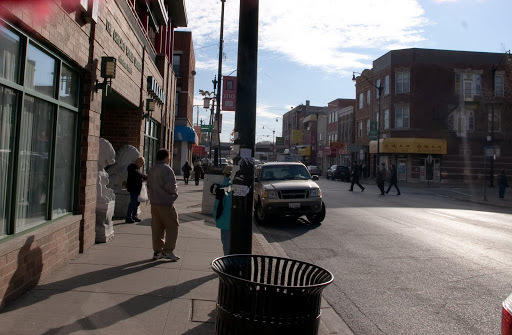 In Chicago, however, the herbs are treated as if they were food, not medicine. Thus, anyone could sell the herbs, even if they do not have a degree or experience. Dr. Yang notes that some herbs that are legal in some states are illegal in others. 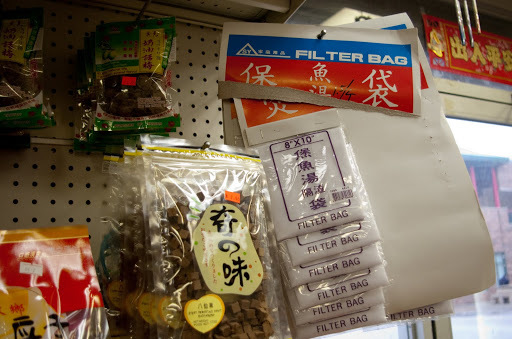 For example, ma huang, which has long been a treatment for asthma, is illegal in Chicago, but may be legal in Indiana. Like any medicine, herbs in the wrong concentration or mixed incorrectly can have adverse effects. 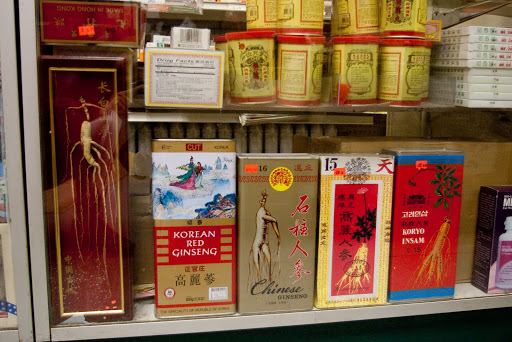 Restrictions on herbs are due to a lack of regulation of the qualifications of herbal dispensers. Dr. Yang explained that licensing for prescribing herbs is like the drivers’ license- without it, people may be reckless because they have not been trained in how to drive. 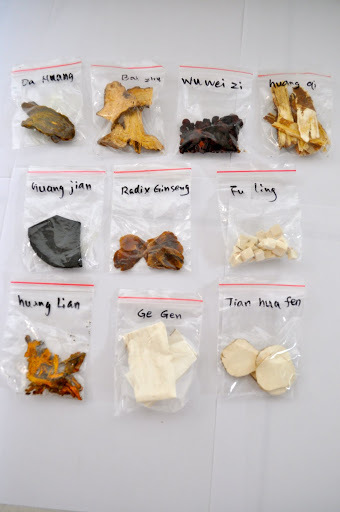 Dr. Yang says that if there were a licensing procedure in all the states, then Chinese herbal doctors could control the use of herbs more effectively. 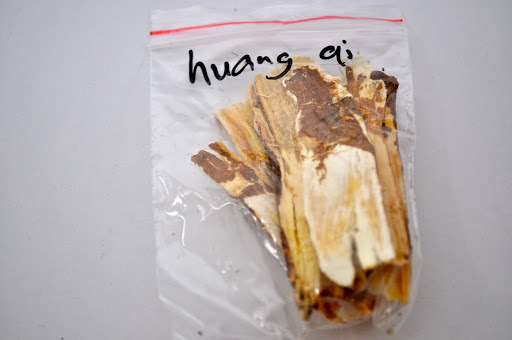 Since Dr. Yang cannot get certain herbs from China, he uses other herbs to replace them. All of his herbs come from China. 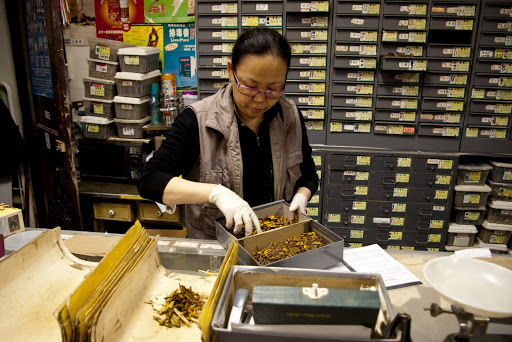 The dried, loose herbs that Dr. Yang has are prepared and packaged in China. To his knowledge, they are picked from the mountainside or from a personal garden at their particular season and day(s) of harvest. 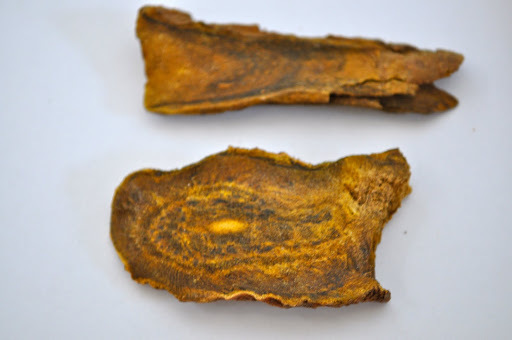 They are either flower, bark, or root and go through a process that varies depending on the herb and its form. 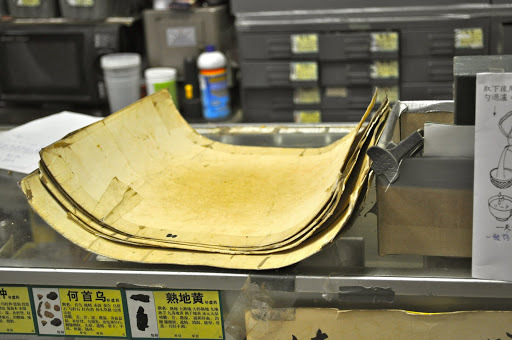 It may include any of these steps: drying, steaming, purifying, cleaning, and cutting. 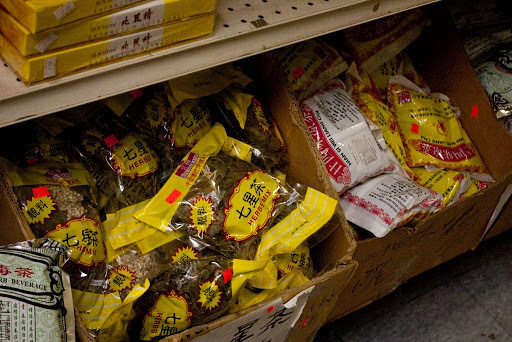 The herbs from Hong Kong or China are sold to an import company in New York or California. 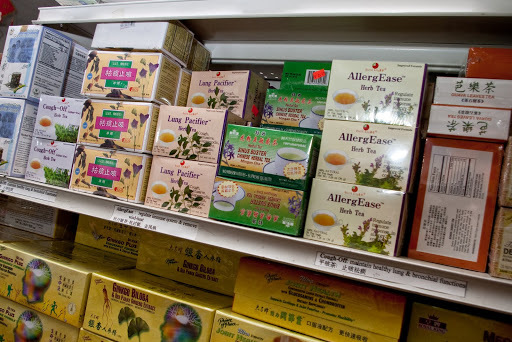 Dr. Yang orders the herbs from these import companies directly. 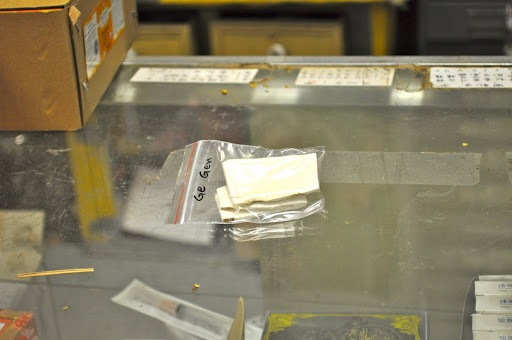 When the herbs arrive in the U.S., they have to go through customs. In the last 15 years it has been much more difficult because airport security is tighter and because of changing political relationships between the U.S. and China. 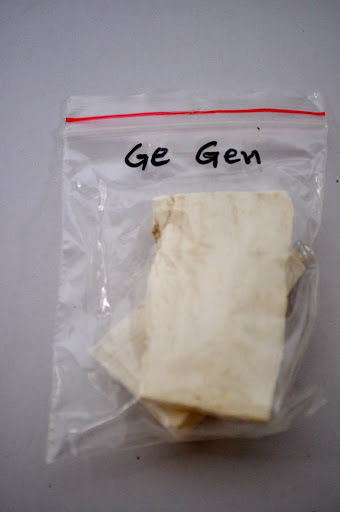 Herbs may be held in customs even for a very minor concern, such as an unusual label on the package. Sometimes, they will be held for 6-12 months. 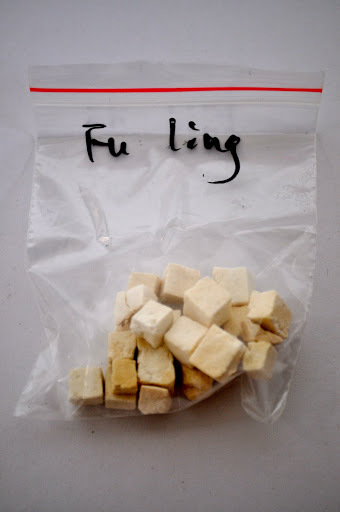 Since the herbs only are good for two years, if they are held in customs for that long, Dr. Yang receives them and they have only a year or even less remaining. As Dr. Yang related, this is a problem for him. 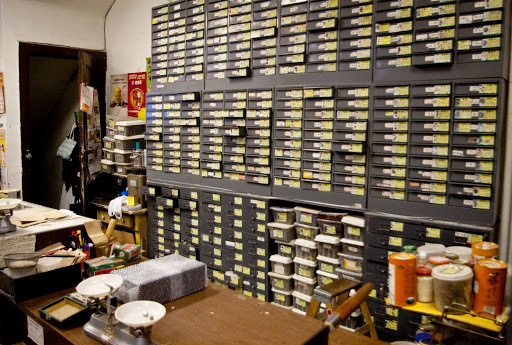 All the products come in bulk, in units of 500 or 1,000. 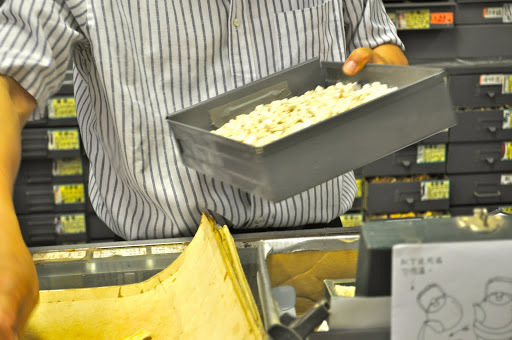 Since he does not have very much storage space (a little in the basement of the store and a little on the top shelves in the store), he only orders an herb when he is almost entirely out of the product. 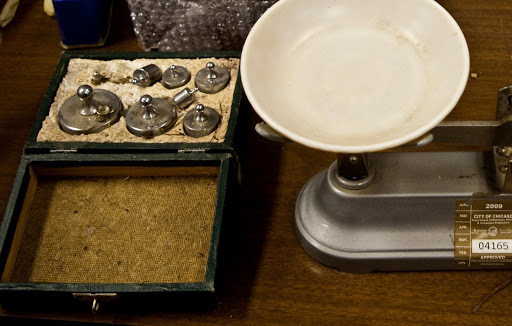 He calls the distributors in New York and California on a weekly basis to place his orders. In the past, before 2007, the prices were stable. The order form listed the price for each item because the prices were fairly consistent. They rose very little over a 10-year span. Since then, however, the prices have risen greatly. This, Dr. Yang says, is because of the changing strength of the dollar and the Chinese yuan, as well as the relations between U.S. and China. Now, Dr. Yang has to ask for the price every week, because it changes so much each week. 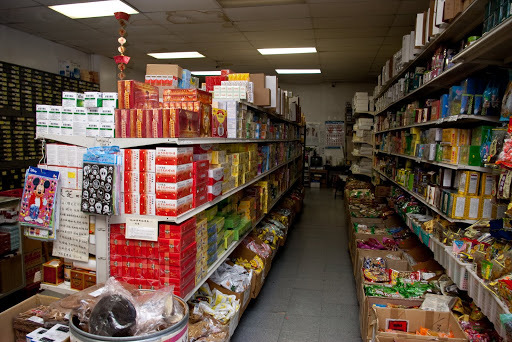 In general, prices have increased, not just in the U.S. for imports, but in China as well. Honeysuckle used to cost $2.00/lb. 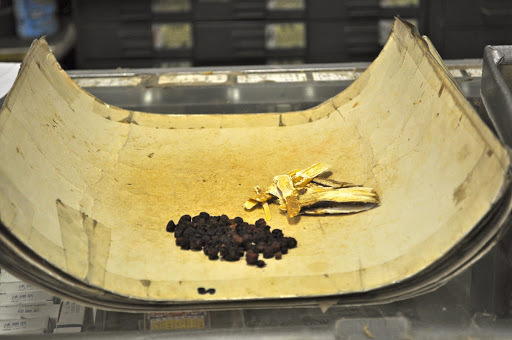 when Dr. Yang started, then it rose to $4.00/lb., and in just a short period it rose to $6.00. Fish oil only increased by $0.25 over 10 years, and in the past 4 years, it has increased $0.20. The change in prices has caused some people to use fewer herbs. 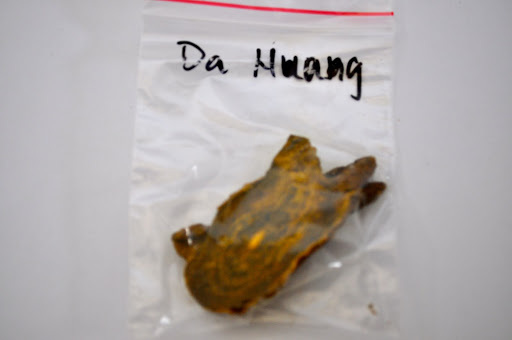 The prices of Dr. Yang’s products depend on the type of herbs and their forms. 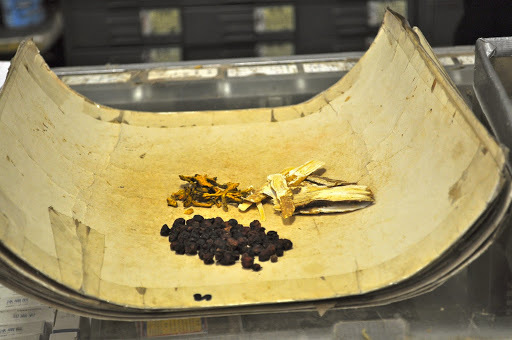 Some dried, loose herbs are very expensive, and some are very cheap. These prices are determined by the pound. 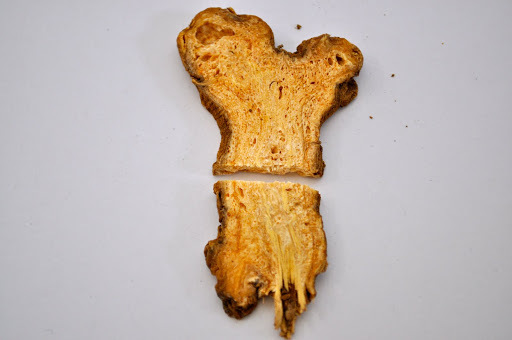 Cordyceps (Cordyceps sinensis--storma; Hepialus armoricanus--larva), which is a type of worm, is used to relax the bronchus, as a sedative, and as an anti-inflammatory and to treat kidney-energy deficiency and lung-energy deficiency. 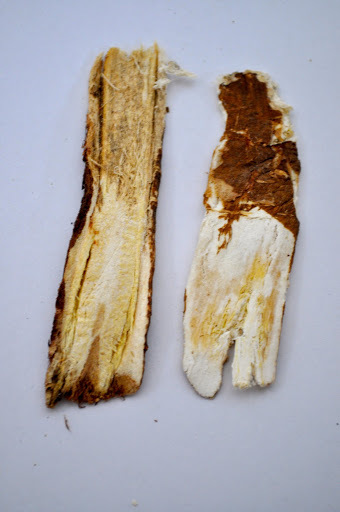 Most often it is combined with ginseng to treat asthma. 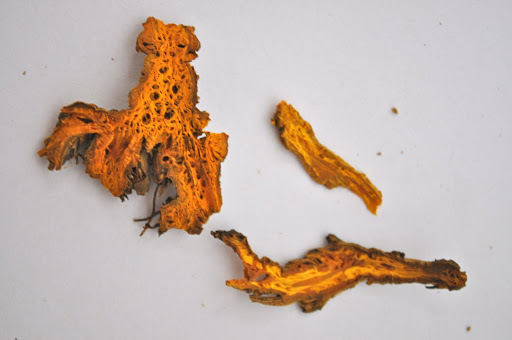 Cordyceps, at this time, costs $5,000/lb. 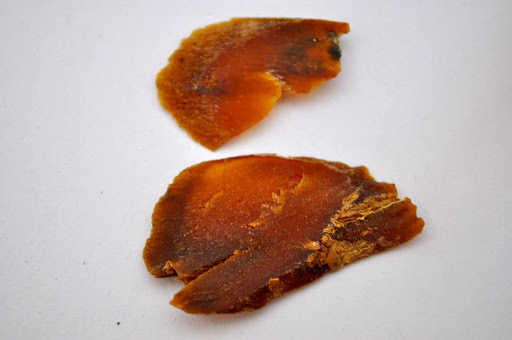 Overall, the dried herbs are more expensive than their encapsulated counterpart. 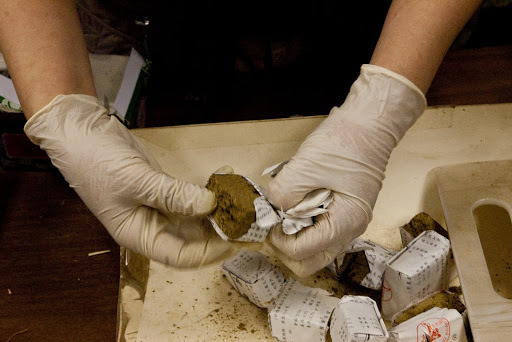 This is because the dried herbs are prescribed specifically for the individual patient, his body makeup, and symptoms. 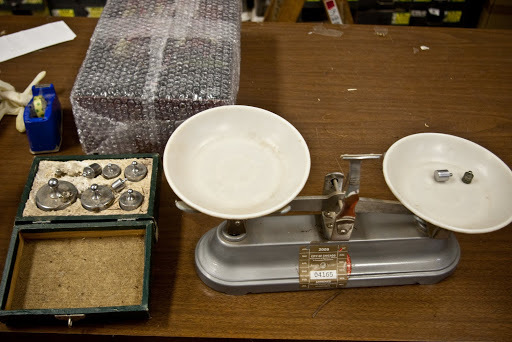 Dr. Yang compared it to the difference between getting tailor-made clothing that is specific to your measurements and fits perfectly, though is more expensive, and getting pre-made clothing at the store that is never perfect, though is cheaper. 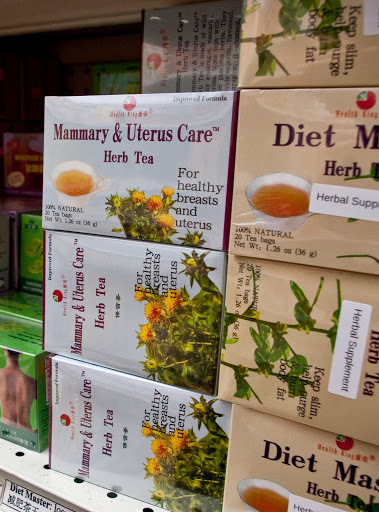 The pill form of herbs may cost a patient about $2.00 per day, while the dried herbs would be $7.00 per day. How does Dr. Yang diagnose a patient? 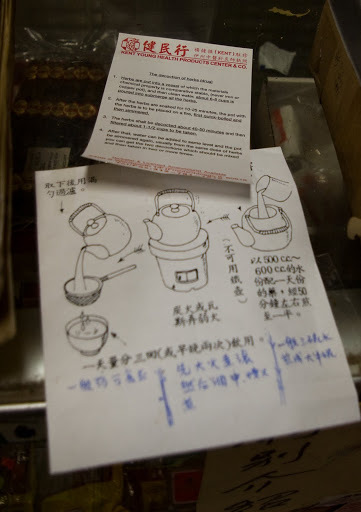 Dr. Yang walked us through the entire process of how one comes in with a problem and leaves with an herbal remedy. As someone comes toward his desk, he starts by observing them. He looks at the way they walk, coloration of their skin, and their eyes. He listens to the way they talk and takes note of any problems. Then he takes their pulse and listens to what they feel their problems are. He takes in all of this information, assesses it, and diagnoses them. In this process, he looks at the entire body, taking in all the different parts of the person’s situation. 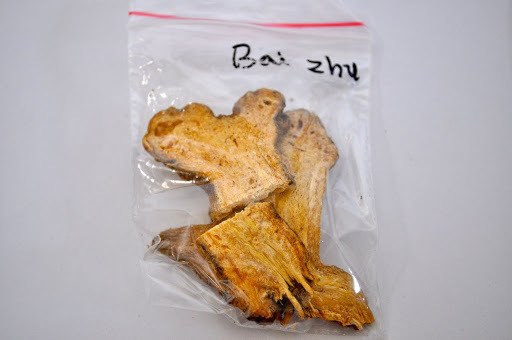 This is the way that doctors trained in traditional Chinese medicine (TCM) diagnose patients. 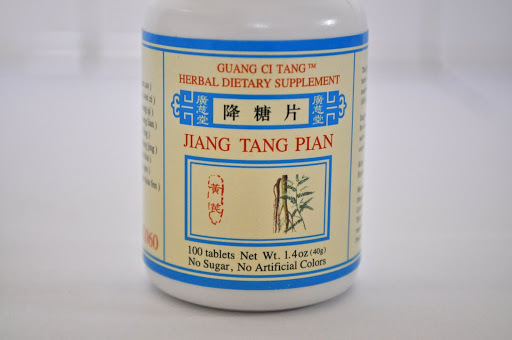 For Dr. Yang, this is a fundamental difference between TCM and biomedicine, in which doctors only look at one specific part or problem within the body. 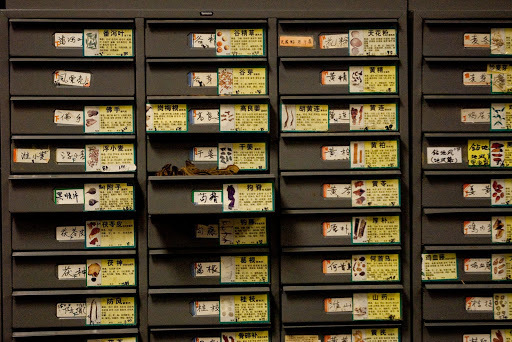 He then prescribes some pills or packaged herbs, the Chinese herbs (like the dried herbs in the drawers on the wall), or acupuncture. 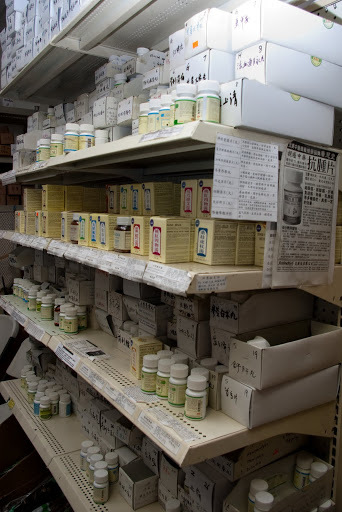 Which type he prescribes (pills/packaged herbs, dried herbs, or acupuncture) depends on the person, their specific situation, and what they would like. 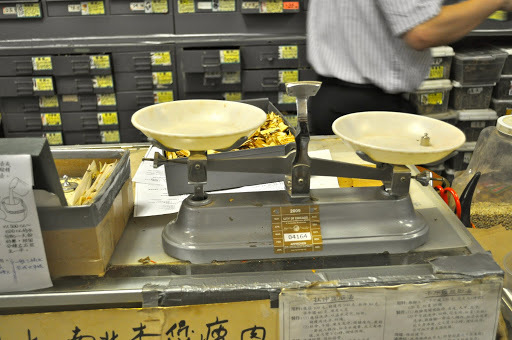 Some people only will do acupuncture and do not want to consume anything. Dr. Yang likes to prescribe acupuncture for patients in physical therapy or suffering from carpal tunnel syndrome because it is less invasive and can assist in their recovery. 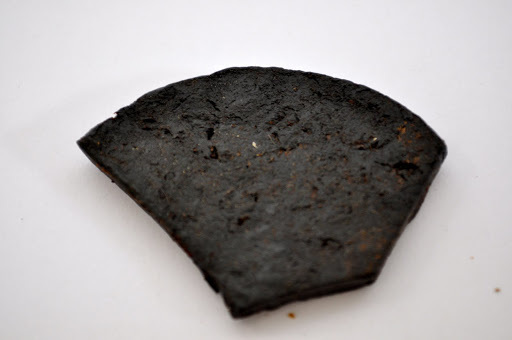 Others want the dried herbs, because they are stronger since you boil them and drink the tea. Some prefer want to use the pill or pre-packaged herbs and teas, since it is easier and less time-consuming than boiling dried herbs. 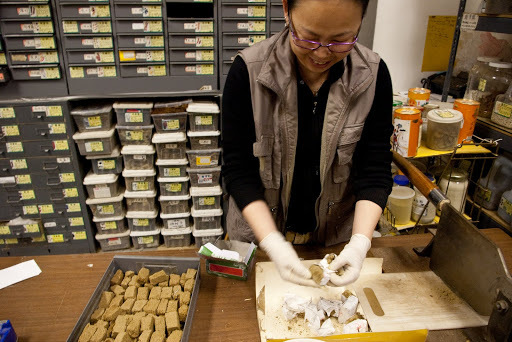 When Dr. Yang prescribes a mixture of herbs, the patients get the herbs from the wall of drawers. They take the herbs home and boil them for a few minutes in water, strain it, and drink the tea according to his directions. 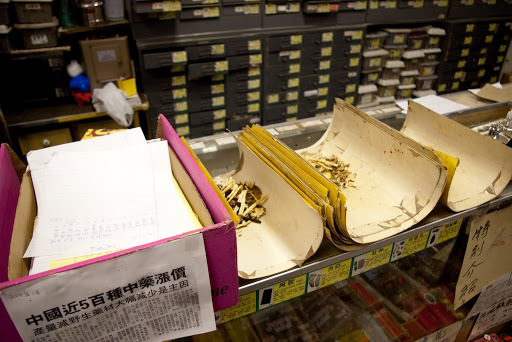 People who do not meet with Dr. Yang can get herbs from the shelves and do the same process. 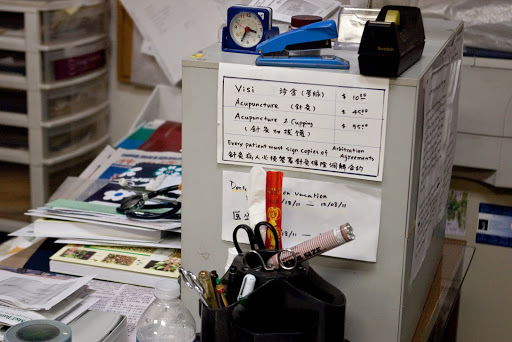 Once Dr. Yang prescribes a formula to a patient, or if any other doctor gives one of their patients a prescription, Dr. Yang or his wife will fill it. 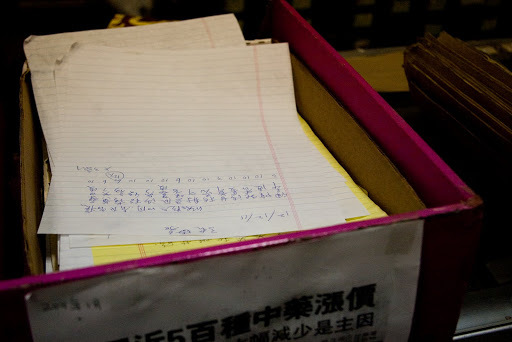 They are handed a paper prescription, which are usually sheets torn from a legal pad. 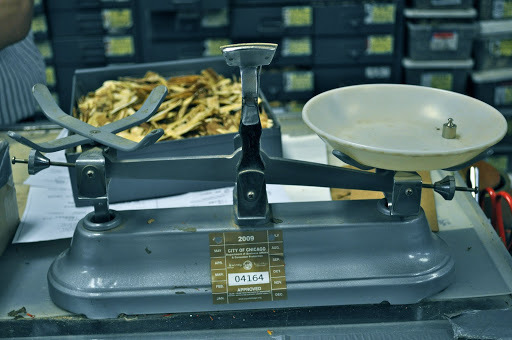 They find the right dried herbs in the drawers, weigh the herbs on a scale so that the side with the herbs matches the side with metal weights, giving them the correct amount of herbs. 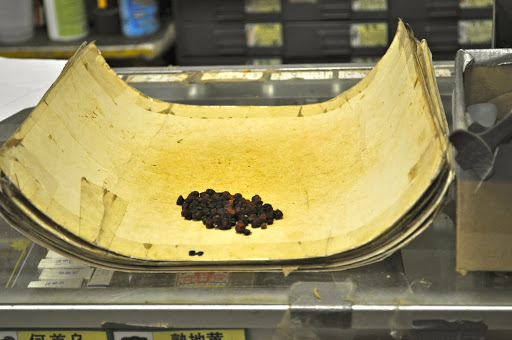 They place the herb on a mat-like paper, placing all the individual herbs in the formula side by side. They then place each dose of the formula into its own, individual bag. This way, the patient can just empty the contents of one bag into boiling water without having to measure the exact does out himself. Usually a common cold will require 2-3 doses and if it is a chronic problem, the patient will come in regularly to fill the prescription, receiving 5-7 doses at a time. The first time the customer or patient is receiving a formula, Dr. Yang will explain how to use it and how to prepare it. If the patient feels that the prescription is not working or needs adjusting, the patient returns to her own doctor, whether that is Dr. Yang or another doctor. Dr. Yang says that TCM is all about a balance, both internally and between you and the outside world. The yin and yang are a matter of balancing everything, and he uses that idea of balance to help people. Yin and yang are used to describe pairs of opposites: down-up, female-male, night-day, organ-function, inside-outside, calm-excited, water-fire, cool-hot, watermelon/tofu/veggies/bittermelon-spicy/curry/fried/meat/sugar. Yin and yang are relational identities that can change by comparison. He used his desk and his tea bottle to demonstrate this. When he was pointing on the desk, spot A, lower on the leg, would be yin and spot B, further up on the leg, would be yang. But then, when he pointed at spot B compared to the top of the desk, spot B would be yin and the top would be yang. As he kept describing, he re-stated several times that it was all in comparison, and that one thing could not be labeled as yin or yang on its own--it must be in juxtaposition with something else. Dr. Yang’s approach to diabetes is a great example of how yin and yang influences treatment. In TCM, there are many different types of diabetes based on different sets of symptoms. One of the two main categories is being yin deficient. People who are yin deficient do not have enough fluid, so their eyes are dry, their mouths are dry, they may have constipation, they may sweat at night, and their hands and feet may feel different. 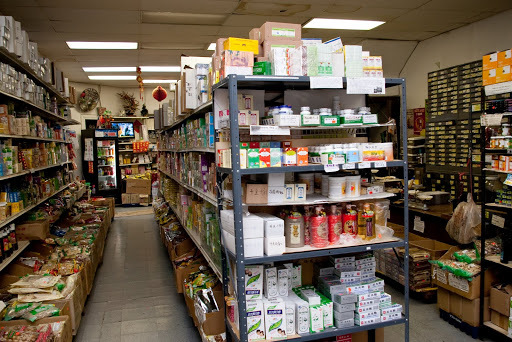 For this, Dr. Yang showed me a package that he prescribes [He had started to go to the dried herb drawers, but said that he did not know the English names, so instead he went to the pre-packaged herbal items so he could point out the English names.] 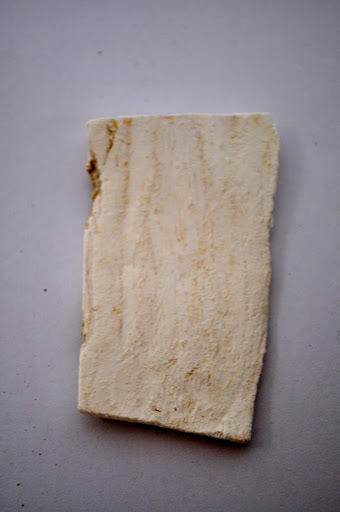 that included tian dong, which is asparagus root, mai dong, which is ophiopogon root. 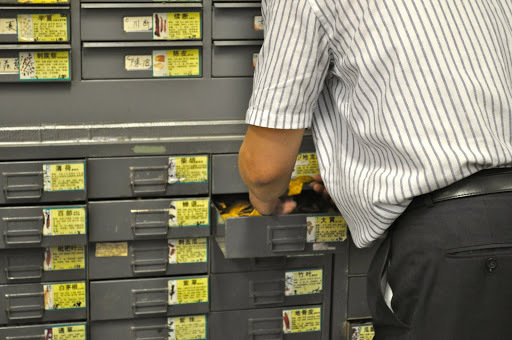 He then went to another section of shelving that is directly across from his desk and holds bottles that are from a single company, and they are all the same size and have the same appearance, but they serve various purposes. Each one had the name and information in Chinese characters, and had some pinyin (roman version of the character pronounciation), and a number. 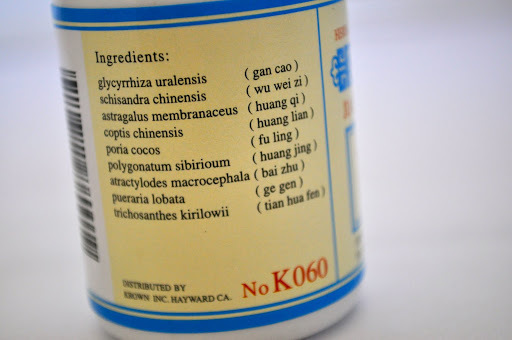 Dr. Yang picked up a bottle, showed it to me and said that he prescribed it for yin-deficiency, and then went over to his desk and took up a 5x8 in. book, flipped to the corresponding number, and photocopied the information about the prescription. 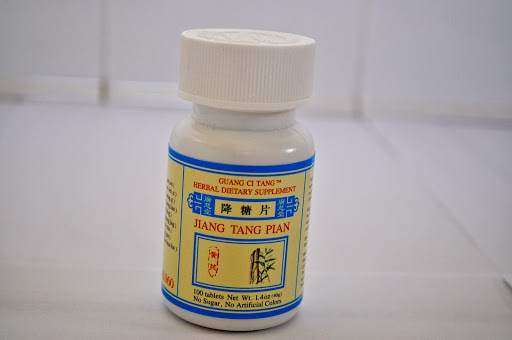 It was called Jiang Tang Pian, which means “body fluid pill.” This herbal combination would promote the production of body fluids in the body, thus increasing the yin. The second main category is being yang deficient. The symptoms of this type is a feeling cooler, yellowed urine, being overweight, and feeling hungry. 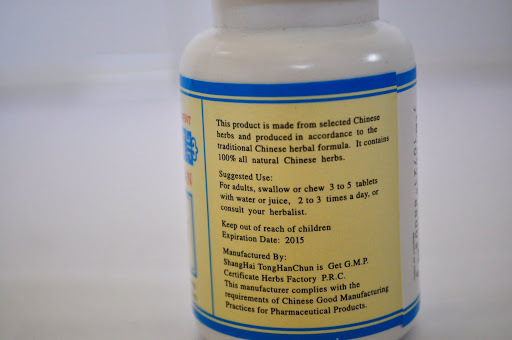 For this type, Dr. Yang showed me the bottle for Jin Gui Shen Qi Pian, which helps boost the yang in the body, particularly in the kidney. Dr. Yang went on to describe that TCM does not just consider one type of diabetes. Rather, TCM views these two main types of diabetes, and then also considers all the specific symptoms that patients have. Therefore, diabetes can affect the lung, producing a cough, the kidneys, producing too much urine, causing weakness, vision changes, and feet problems, or it can affect the stomach, making the person hungry often. The prescription that Dr. Yang eventually prescribes depends on all the different symptoms that the person experiences. When prescribing remedies for the common cold, Dr. Yang said it depends on the individual and the type of cold they have; if someone has a “wind heat” (feng re) cold, they are sweaty and sticky and their nasal mucus is thicker. For this, he would prescribe something to cool the body down, such as peppermint, lime, and chrysanthemum. On the other hand, if someone has a “wind cold” (feng han) cold, that person is chilled and has thin nasal mucus, so he would prescribe something to heat the body up, such as ginger or coco curry. Similarly, if someone eats too much fried food, the body will be too hot and he will get pimples. If a person eats too much frozen food, like ice cream, the body will be too cold and have other problems. Thus, a balanced diet is necessary to maintain good health and if there is illness, the body should be balanced to heal it. 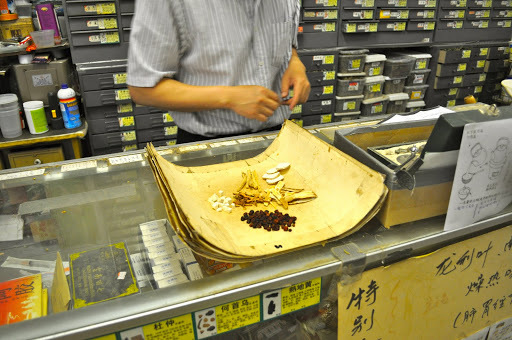 Dr. Yang said that commonly prescribed herbs depend on the season and the person. 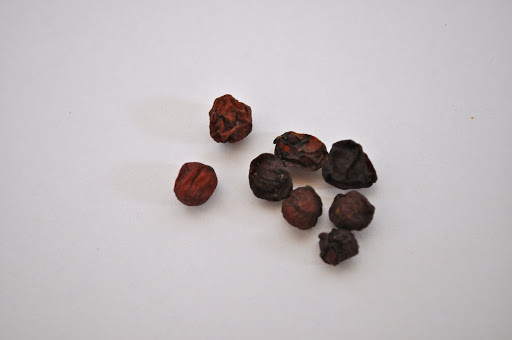 In the summer, the liver gets very hot and warms up the body, so many people will use xia sang ju, which is a mixture of chrysanthemum, selfheal spike, and mulberry leaf, to cool the body down. When it is humid, they will use qu shi to push the humidity out of their bodies. In the winter, people will often put a lot of ginger in their food when cooking to heat their bodies up. On a daily basis, he recommends that people drink a mixture that he has come up with and believes is a very good daily boost of immunity for your body. 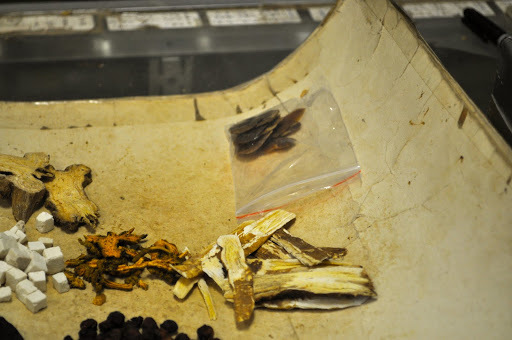 The mixture is reishi mushrooms, hawthorne, goji berries (or wolf berries), and chrysanthemum. 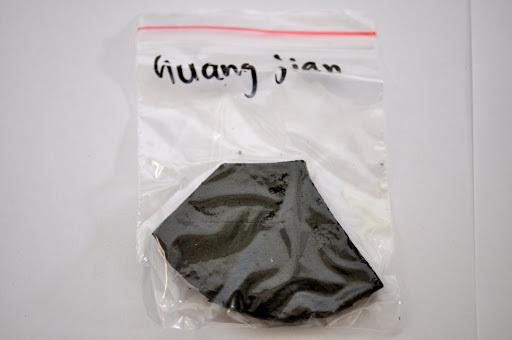 Dr. Yang had this mixture in a coffee pot, in a filter as if it were coffee grounds, and the glass pot was filled with the steeped tea. He said that people come to him for more chronic, serious illnesses too. 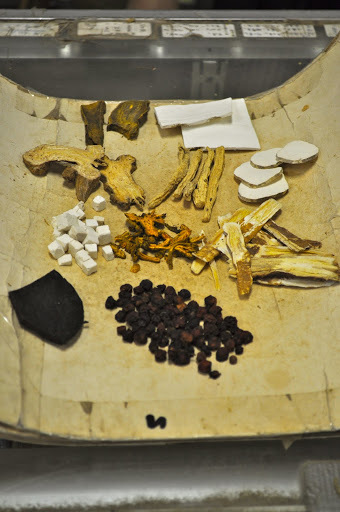 Dr. Yang explains that while biomedical treatments may change symptoms or have negative side effects on the body, TCM intends to change the composition of the body and return it to a balanced state. 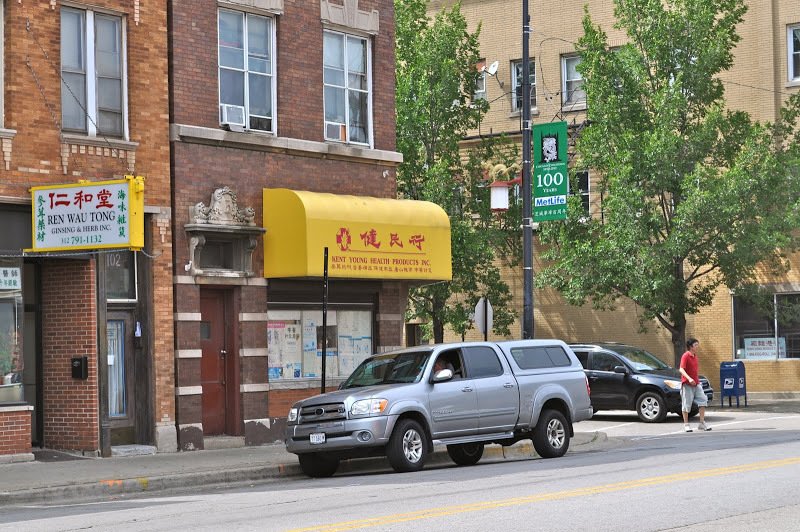 Dr. Yang says there are many reasons for why people might prefer to see a Chinese doctor. Long lines at the clinic and the demands of a family and a full-time job make it difficult to see a biomedical doctor. He also says that many patients may not have the insurance to pay for the high costs of biomedical care. 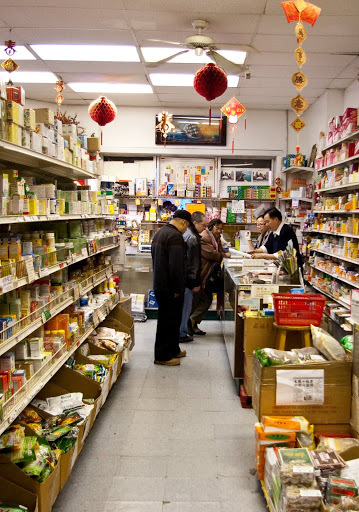 If they have a small problem, like a toothache or a cold, they can see a Chinese doctor and get a prescription for $2.00-5.00. 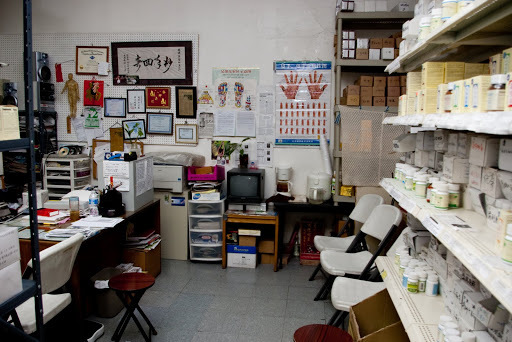 Some people worry about the side effects or effectiveness of clinical care and choose to see a Chinese doctor. Sometimes, if a patient has lost their job or cannot pay Dr. Yang for whatever reason, he will waive the price, or only have them pay half of what they owe. Dr. Yang used to advertise when he first started his shop. Now, however, he no longer advertises. He gets customers and patients just from people referring their friends and families. He notes that he never has advertised in the Mexican community, but a lot of members of the Mexican community come in to see him. He says that when one person finds a good guy, he will refer everyone to him. He sometimes has entire families coming in to see him. Dr. Young stands in front of his drawers of herbs for a portrait. View from the front of the store. On the right are black teas and other non-medicinal teas. 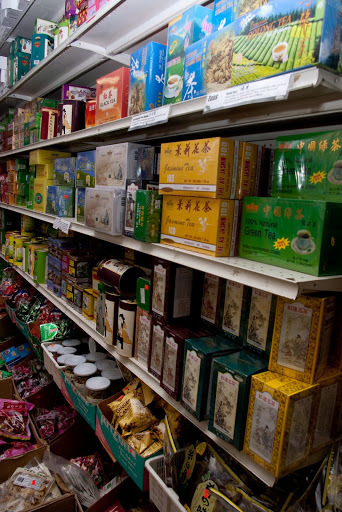 The left side of the right aisle houses herbal boxed teas with medicinal properties. 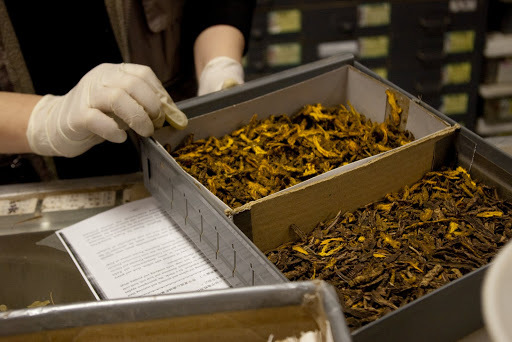 At far left you can see Dr. Young's drawers of dried herbs that he uses to make personal mixes. At the back you can see the waiting area for where Dr. Young gives personal consultations. 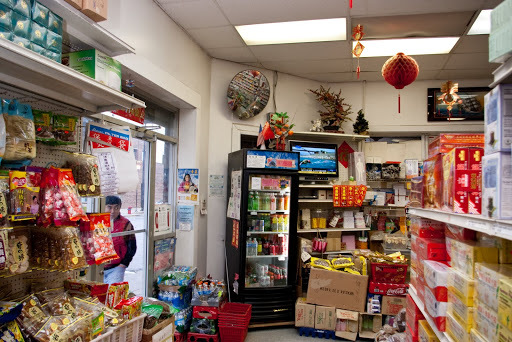 View of the front of the store from the boxed tea aisle. Chinese language news was on while we were in the store. Chinese medicines in capsule form. Dr. Young's waiting area and desk. Acupuncture charts decorate the barrier separating Dr. Young's office from his examining room. He also performs acupuncture on clients behind the barrier. 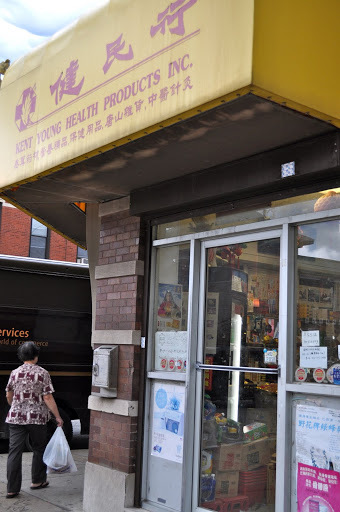 Acupuncturists also purchase supplies from this store. View from the waiting area. Pre-boxed, medicinal teas for respiratory ailments. 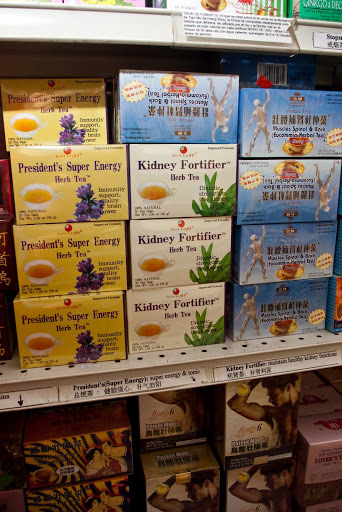 A selection of non-medicinal teas along one aisle of the store. A close up of a selection of specialty teas. Prices for Dr. Young's Acupuncture treatments and consultations. Dr. Young gives a consultation at the back of the store while Mrs. Young mixes up a prescription for a patient and another patron waits for help. It was a busy Wednesday afternoon around 4:00. Prescription box holding prescriptions Dr. Young writes out for each patient next to individual serving of a tea Mrs. Young is preparing for a patient. 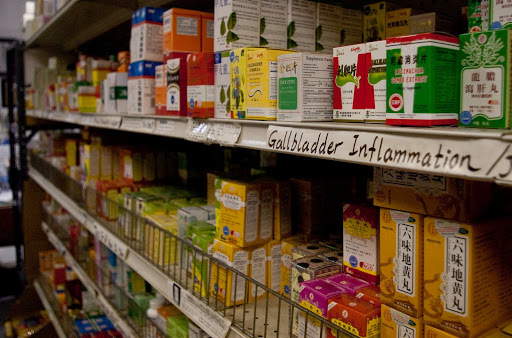 Across from the drawers of herbs is a row of boxed pills for all sorts of ailments including Gallbladder Inflammation. Boxes of pre-bagged loose herbs. 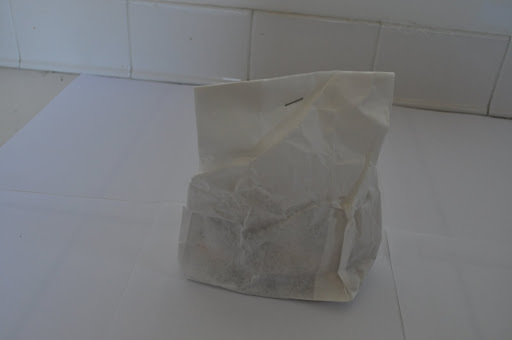 Filter bags for loose tea. 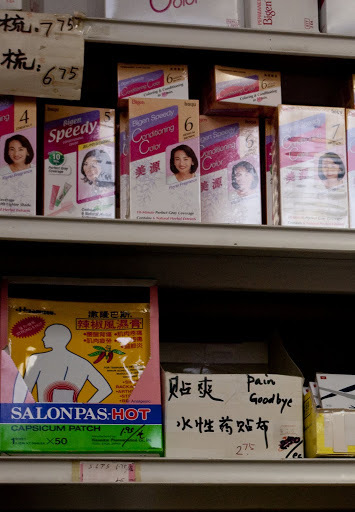 Hair Dye tops a shelf of patches that make muscle pain go "Goodbye." 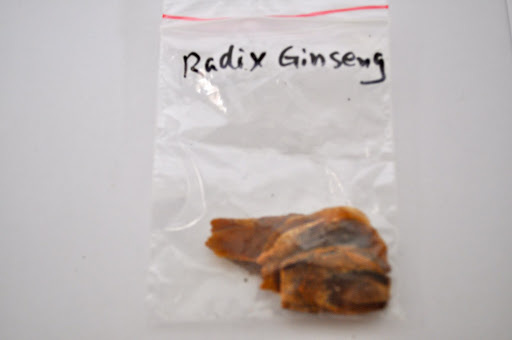 The store sells a wide variety of Ginseng which varies considerably in size, quality and price. These are some of the very high quality ginsengs for sale in the store. Dr. and Mrs. Young consulting with Alaka Wali and Caroline Johnson on what artifacts to buy for the museum. 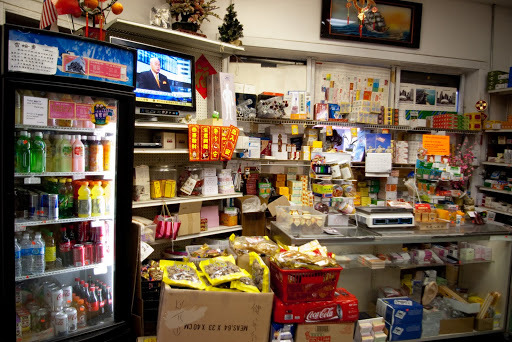 Herbalist Beatrice DeFranco stocks up on supplies for her Near-West Suburban clients at Dr. Young's store. 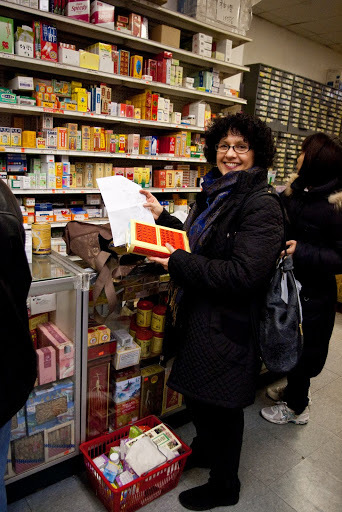 In her hands are her list and a Chinese Medicinal book she uses to double check which products and herbs she needs to buy. 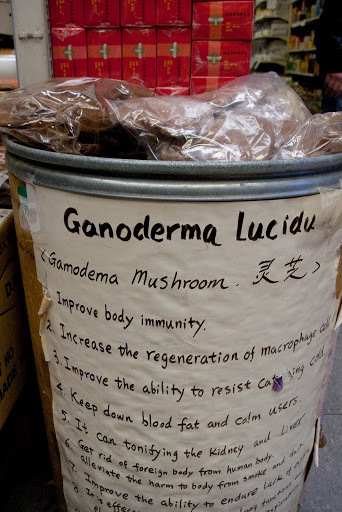 DeFranco discusses the healing properties of the ganoderma mushroom with Wali. 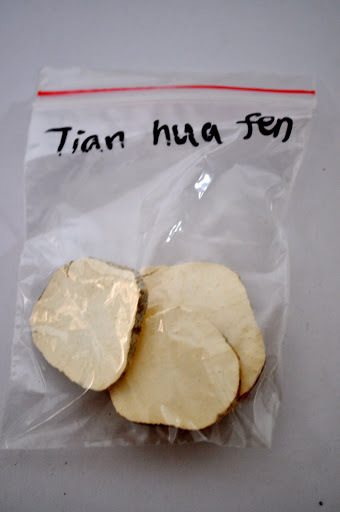 This mushroom grows in China, but also variants of the species can be found in the Mid West as well. 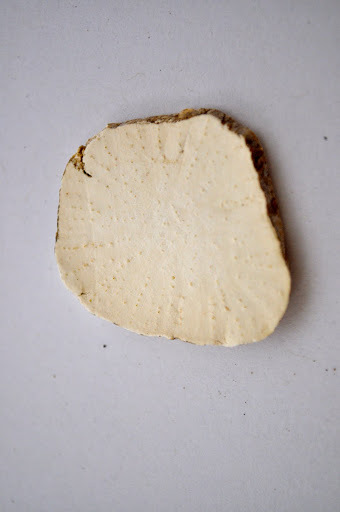 These mushrooms are made into teas, wines and tonics for many ailments and to promote a long life. 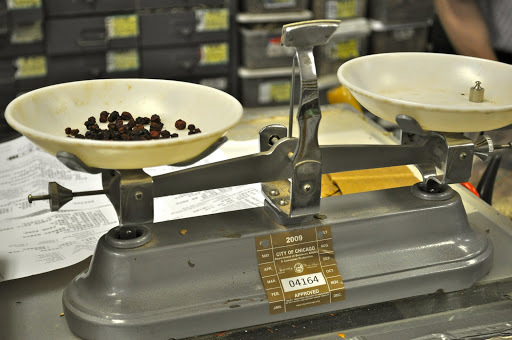 Dr. Young's weights for weighing herbs. 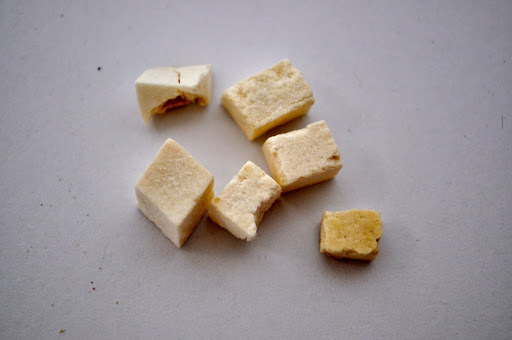 Mrs. Young chops blocks of herbs to prepare for the general stomach problems herbal blend they mixed up for us. Mrs. Young chopping blocks of dried herbs. 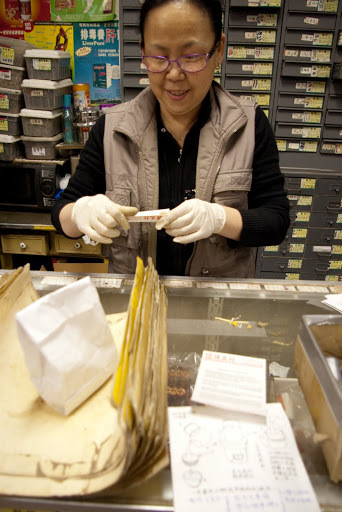 Mrs. Young preparing to place chopped blocks in a drawer. 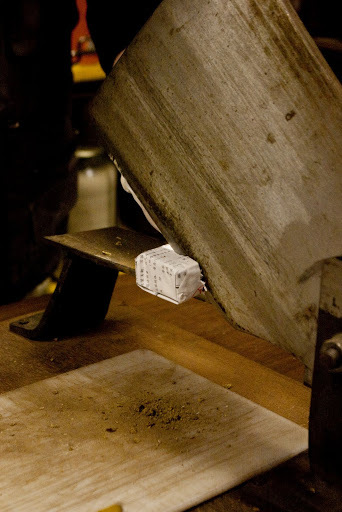 Putting the chopped blocks into a drawer. 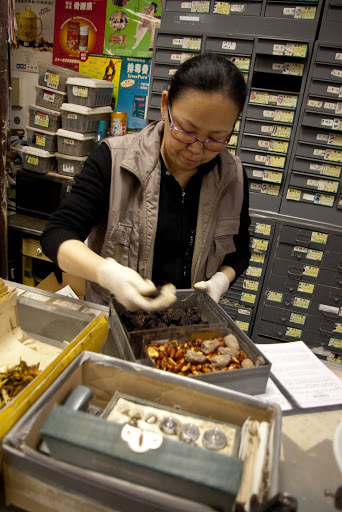 Mrs. Young prepares Ban Xia Xie Xin Pian (Wan), a stomach remedy for The Field Museum. Dr. Young photographed the ingredients and a description for us. Medicine Drawers. 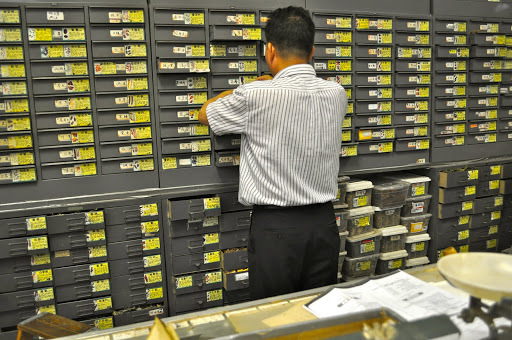 Each labeled drawer contains one designated herb ready to be gathered for prescription package preparations. 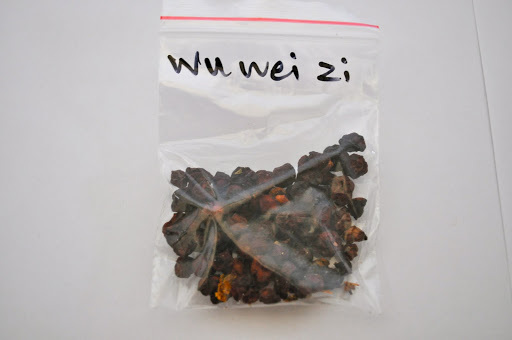 Putting Ban Xia Xie Xin Pian (Wan) into a bag. Putting brewing instructions into the bag. 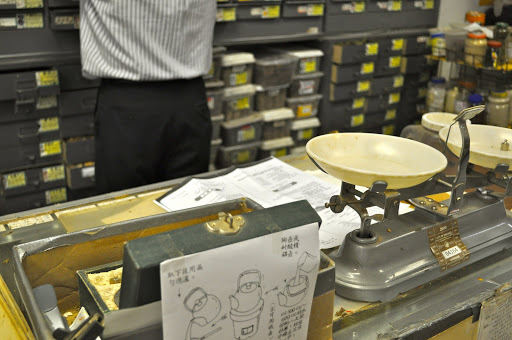 Dr. Young explains how to brew one of his mixed herb teas in a clay pot, like the one we bought from him. It takes 40-60 minutes to brew one of his herbal teas. 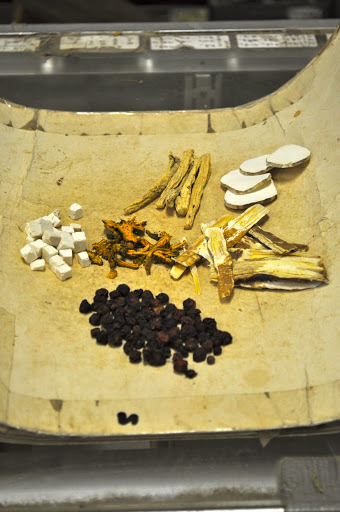 Preparing the second common mixture for The Field Museum: Xiao Yao Pian (Wan) is used to treat anxiety, stress and depression. 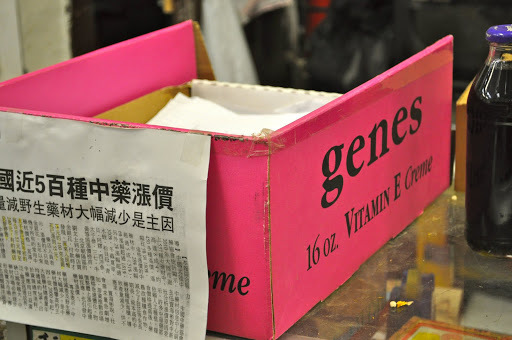 It works, according to Traditional Chinese Medicine, by dispersing liver Qi stagnation. Ingredients are also listed in the photocopy given to us by Young. 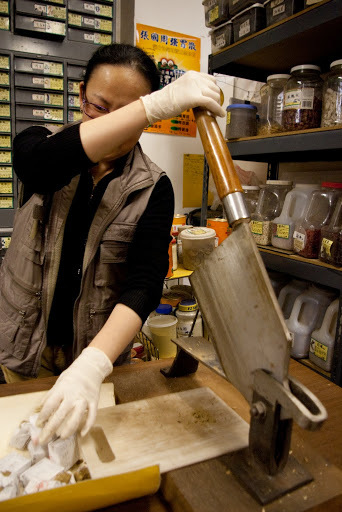 Mrs. Young prepares a Xiao Yao Pian (Wan) blend.